Thursday’s ECB meeting is the most keenly awaited event on the calendar today; expectations are set high for further stimulus, so there is plenty of room for disappointment. The European Central Bank policy meeting today is by far the most important event on the calendar. The EUR/USD has erased about six figures, or more than 4 percent, of its value for the past two months. In the present moment, the short euro positions are at its highest in two years. Market players are keenly awaiting ECB’s message, with expectations favoring additional easing to be announced due to lowering inflation expectations and recently disappointing euro area economic data. Should the central bank fail to deliver, a large-scale short squeeze is likely to occur. 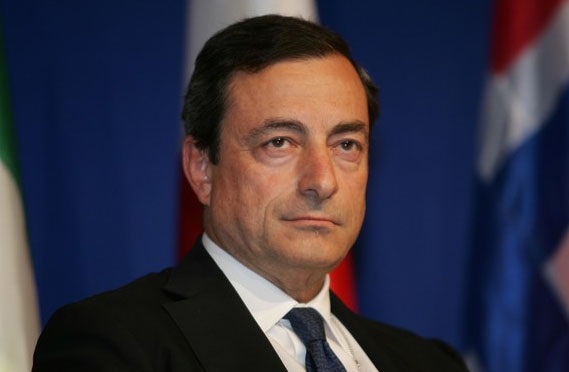 Mario Draghi faces no easy choice in the current situation because two rounds of easing are already going to be launched in September and December in the form of Targeted Long-Term Refinancing Operations (TLTRO). Furthermore, the common currency already depreciated substantially, supporting the euro zone growth and fighting the deflationary threat. That is why Draghi will probably want to see how the economy absorbs the cheap 4-year liquidity and how the latter feeds into economic indicators to follow. Markets may not be eager to wait, however, provided the disappointing data being recently released from a number of euro zone countries, including the three largest economies: Germany, France and Italy. In order for disappointment to be avoided, the ECB could send a firm signal that further easing would be implemented in support of the staggering economy. Such an announcement would help cement the groundwork for recovery and would calm down financial institutions and investors that low interest rates and a weak euro are here to stay for a considerable period of time. This could be enough to send the shared currency lower to the 1.30 area. The most aggressive move the European Central Bank could make is the announcement of Asset Backed Securities purchases together with a fresh rate cut. Such a move would result in a brutal euro selloff. It should be kept in mind, however, that is the least probable scenario given Draghi’s recent statement that interest rates have hit the lower bound. Anyway, central bankers should be extremely careful not to disappoint the markets by abstaining from any fresh steps. Otherwise, a big short covering EUR/USD rally might prove to be just around the corner.